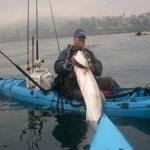 Round Two of The Battle of The Bays CCA CAL Kayak Tournament is here. 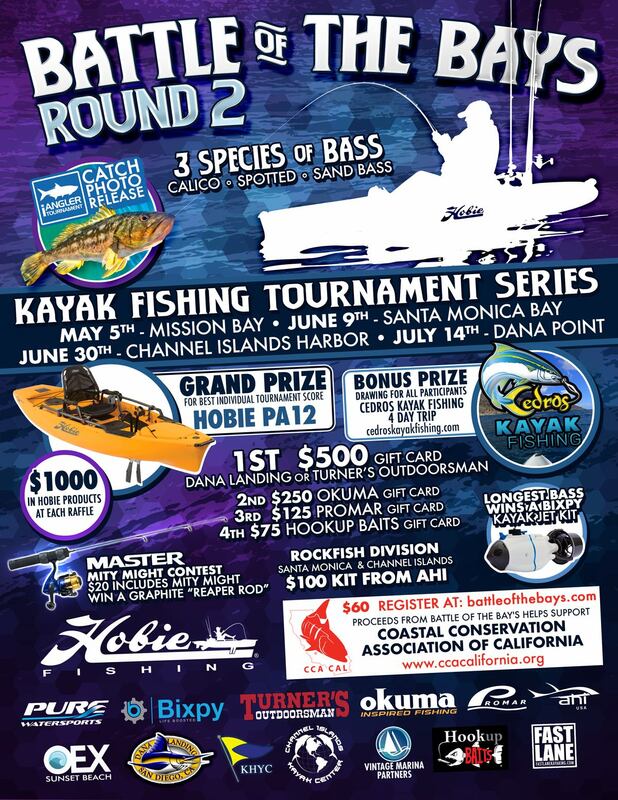 The series of 4 events will start on May 5th at Dana Landing in Mission Bay with the second tourney in Santa Monica Bay at the King Harbor Yacht Club on June 9th. Channel Islands Harbor’s Vintage Marina will host the northern end of the tournament on June 30th. The final stop will be in Dana Point on July 14th hosted by Pure Watersports. Once again Hobie will be our title sponsor with the following Hobie dealers at our sponsors, OEX Sunset Beach, Pure Watersports, Fastlane Sailing and Kayak Center, and Channel Islands Kayak Center. I agree, something good to be a part of. I (OEX Sunset Beach) decided to throw some money into sponsoring the Redondo leg and personally hope to fish all of them. Win or lose always feels good when your money goes to a worthy cause. Love reasons to try and improve my fishing in the name of friendly competition. I just signed up for Redondo and Dana. Bump again for June 9th Redondo!